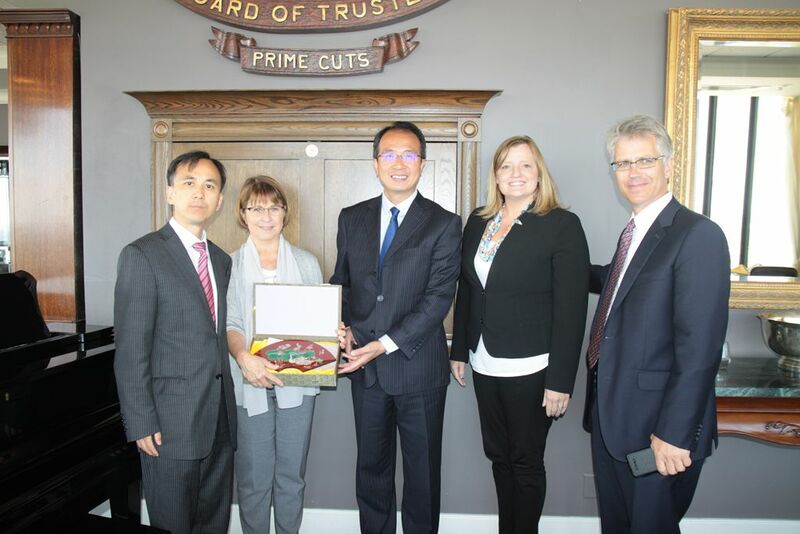 On September 21, Consul General Hong Lei met with International Trade Office Director Kathy Hill of Iowa Economic Department Authority in Des Moines, the State Capital. Consul General Hong Lei said that in recent years, Iowa’s friendly cooperation with China enjoyed rapid development. Trade and investment cooperation between the two sides have yielded remarkable results, setting an example in the US Midwest. Iowa is known as the "Granary of the US" and has advantages in finance, environmental protection and other fields. We hope Iowa can strengthen its cooperation with China in agriculture, finance and environmental protection and share China's development opportunities. Director Hill said that Iowa Economic Development Authority has long been committed to promoting Iowa’s foreign economic and trade relations. China is not only Iowa's third largest export market but also an important source of foreign investment. Iowa Economic Development Authority will work closely with the Consulate General to promote trade and investment cooperation between Iowa and China.